Bevor ich zum heutigen Lack komme, möchte ich ein bisschen ausschweifen. Meinen ersten Post auf meinem Nagellack-Blog (https://another-polish-blog.blogspot.com) habe ich am 19.05.2013 gepostet. So lange ist das schon her - kaum zu glauben! Ich war damals als Au-Pair in London und hatte wirklich viel Zeit. Warum weiß man das eigentlich nie zu schätzen, bis man irgendwann keine Zeit mehr hat? 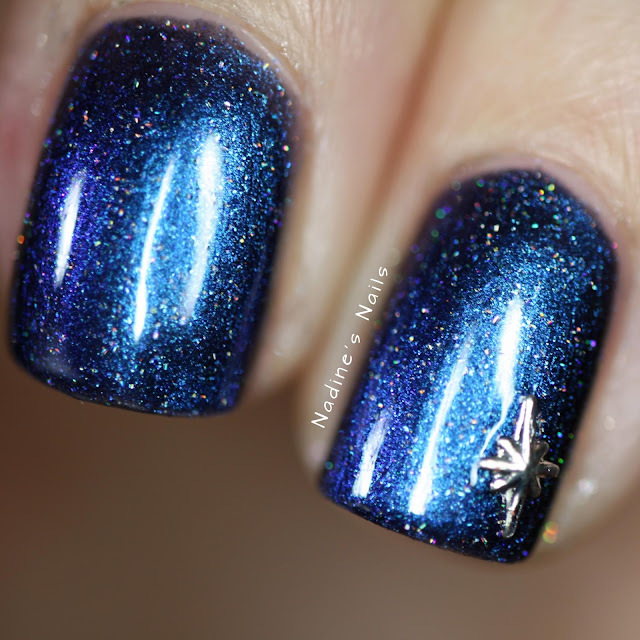 Can you believe that I have posted my first nail polish pictures on May 19, 2013 (https://another-polish-blog.blogspot.com)? That's so long ago! When I started my blog, I was an Au-Pair in London and I had lots of spare time. Why is it, that you only realise how much free time can be when you have only very little left? So, more than five years ago I have posted my first picture for other people to see and I am so GLAD that the quality of my pictures got better. I stopped blogging for about two years, as I wanted to spend more time with my husband (boyfriend at that time) and now I found my way back to blogging. Ich möchte euch heute einen Swatch zeigen. Diesen wunderschönen Lack habe ich vor nicht allzu langer Zeit bei nailland.hu bestellt und auch super schnell bekommen. So schön wie er schon in der Flasche aussah musste ihn einfach gleich lackieren. 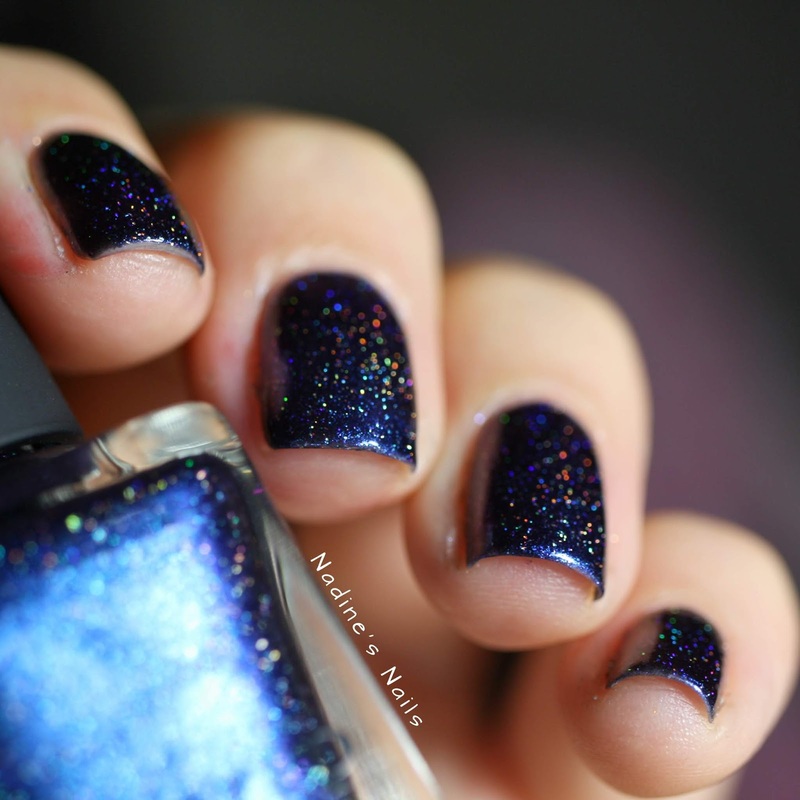 I would like to show you a swatch of a truly beautiful nail polish. I got this gem from nailland.hu, it arrived really quickly and I couldn't wait to put it on my nails. 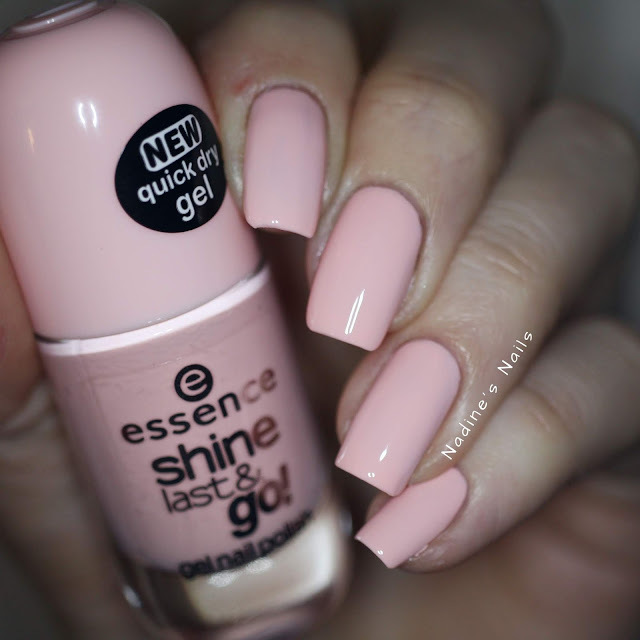 Such a beauty - in the bottle and on the nails as well. Der Lack deckt sehr gut in zwei Schichten und trocknet gut. Ich liebe den kleinen holographischen Glitter! Auch der leichte Chamäleon-Effekt ist toll, aber leider mit der Kamera kaum einzufangen. Ihr seht allerdings am Flaschenboden der Nagellack-Flasche im Bild oberhalb könnt ihr den lilanen Schimmer erkennen. The nail polish is completely opaque in two coats and dries up very well. 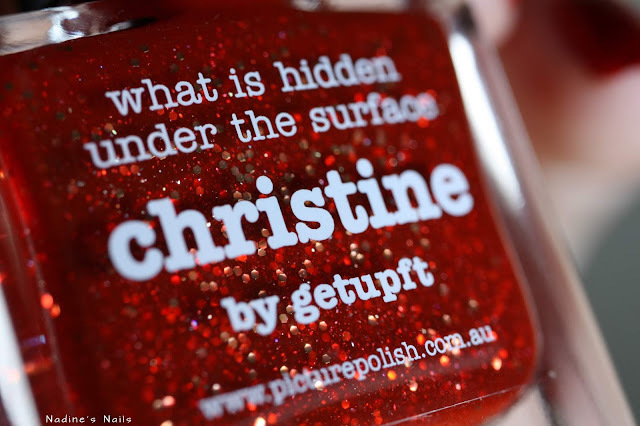 I love the holographic glitter. It also has a slight chameleon-effect but I couldn't catch this with my camera. 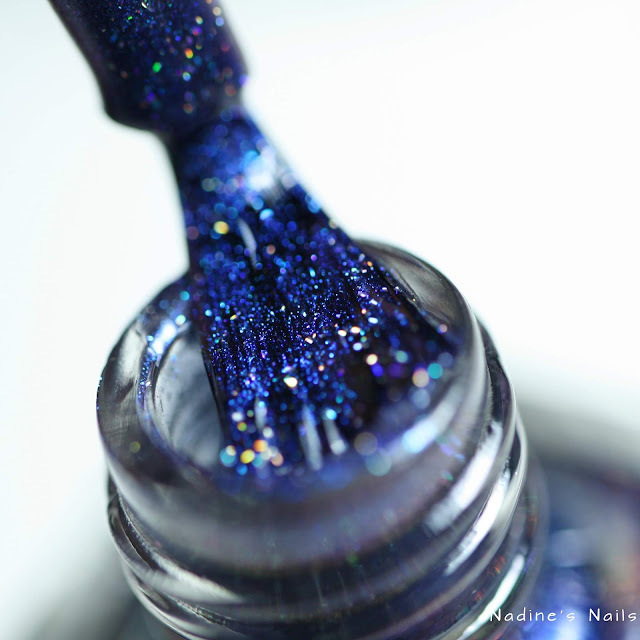 Anyways, you can see the purple shift on the bottom of the nail polish bottle in the upper picture. Ich kann mir diesen Lack super als Grundlage für ein Galaxy-Design vorstellen und werde das sicher beim nächsten Mal ausprobieren! 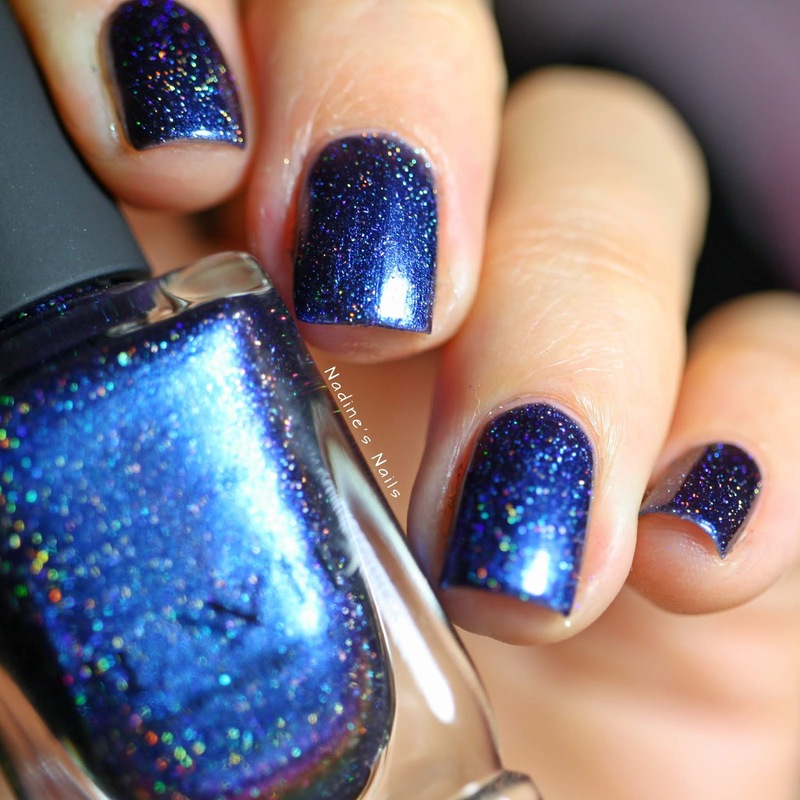 I can perfectly imagine this nail polish as a base for my next Galaxy-Design and I really can't wait to try it. 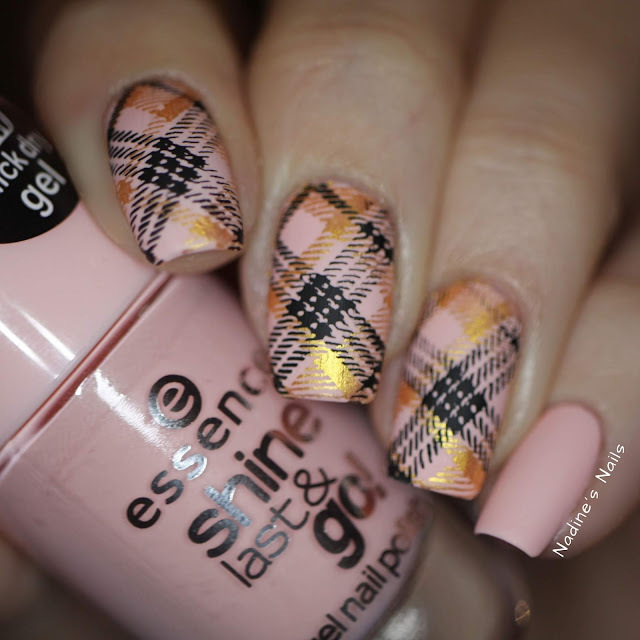 Habt ihr schon Lacke von ILNP? Welche ist eure Lieblingsfarbe? 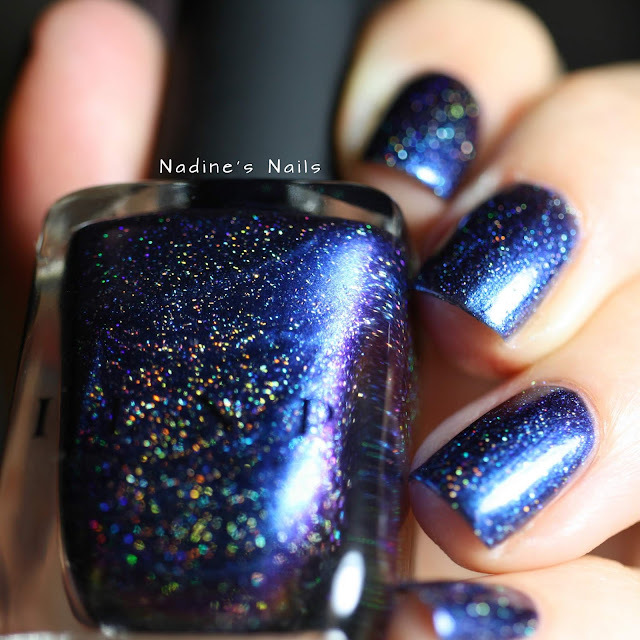 Have you got any nail polishes from ILNP? Which is your favourite colour?